In 2016, both Surface and Aquage haircare named Illusion Unlimited Hair Salons as one of one of their top salons nationwide! Our three Cleveland hair salons have now been recognized by innovative leaders in the beauty industry’s as premiere salons in the United Sates for five years in a row. These awards reflect the high level of professionalism and dedication our staff gives our hair salon guests every single day. 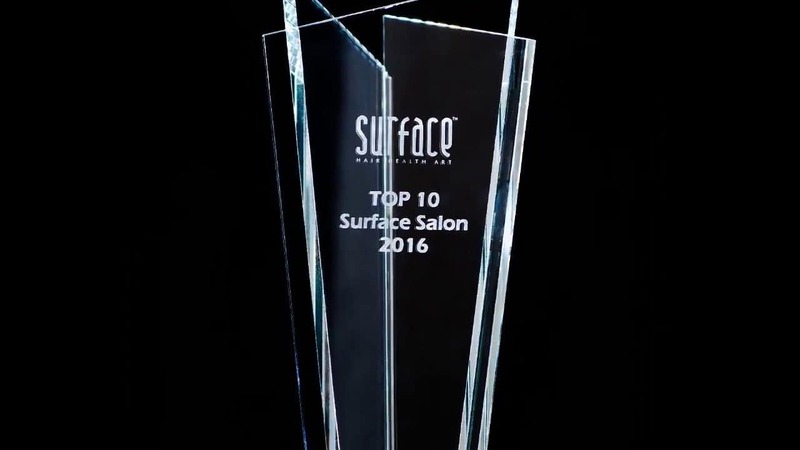 On February 28, 2017, Illusion Unlimited Salons received further recognition from Surface haircare, which awarded them the status of number one in the United States in sales of Surface products for 2016. Surface Hair is high performance, salon exclusive hair care that respects personal health and the earth, formulated with sustainable ingredients and certified organic botanicals. To the delight of the salon staff, Illusion Unlimited was selected for this recognition not just from the list of Richfield, Ohio, salons or Strongsville hair salons – but from more than 6,500 salons across the country that use and sell Surface haircare products. The mix of talent and creativity at Illusion Unlimited Hair Salons is extraordinary! From our certified hair colorists to our certified educators, professionalism and dedication define our people. Our success is due to their hard work and creativity.